Vacation trips to off-Earth destinations may still be years away, but space tourism continues to grow as an industry, and a number of private citizens have already taken the journey to the final frontier. In a recent interview with CBC Radio, entrepreneur Bas Lansdorp spoke of his space project, Mars One, and the search underway for people willing to travel to Mars (with the caveat it would be a one-way ticket). While trips carrying humans to certain off-Earth destinations may still be years away, space tourism continues to grow as an industry, and a handful of well-heeled private citizens have already taken the journey to the final frontier, or at least as far as the low-orbit International Space Station. So how close are we to sending people to other planets or moons? Lansdorp's Mars One has set its sights on the red planet, with a goal to establish a human settlement there by 2023. Lansdorp believes the technology to get humans to Mars exists, but not to bring them back, meaning these astronauts would effectively be emigrants, travelling there, living there and also dying on Mars. He said his organization has already received 8,000 emails from people interested in the space trek. It would cost about $6 billion US to send the first four astronauts, he said, and $4 billion for every crew thereafter. Investors, company sponsorships, donations and future broadcasting rights would help fund the project. Once these adventurers land on Mars, following a seven-to-eight month journey, they would settle in inflatable components, which contain bedrooms, working areas, a living room and a "plant production unit," where they would grow greenery. "They will also be able to shower as normal, prepare fresh food (that they themselves grew and harvested) in the kitchen, wear regular clothes and, in essence, lead typical day-to-day lives," the Mars One website says. But Lansdorp isn't the only player in the going-to-Mars business. Multimillionaire Dennis Tito, the first space tourist to privately fund his trip to the International Space Station in 2001, recently announced the creation of the Inspiration Mars Foundation. Its plan is to send a man and a woman on a privately funded, 501-day trip to Mars and back in 2018. They would come within 160 kilometres of the surface of Mars, then head back to Earth. During the Republican primaries last year, former House speaker Newt Gingrich received some ribbing when he pledged to establish a moon base by 2020 if he became president. Although Gingrich was criticized for being overly optimistic, there are projects in the works to take earthlings to the moon. The Golden Spike Company said it plans to offer routine exploration expeditions to the surface of the moon. It estimates the cost for a two-person fully automated mission at $1.4 billion, or about $750 million per person, by 2020 . It says it would use existing rockets and raise money by marketing its service to nations, individuals or corporations. Space Adventures, the space tourism company that offers private citizens trips to the International Space Station, also said it has designed a "circumlunar mission" to the moon. "Our plan is to be able to circumnavigate the moon. It's not to land on it just yet," Tom Shelley, president of Space Adventures, told CBC News. "We're going to take it step by step. So, first of all, we'll just get mankind close to it, get to about 100 kilometres." The three-and-half-day journey to the moon would be made with the Russian Soyuz spacecraft, which is currently used to take space tourists to the ISS. Organizors would add an extra habitation module to make it a little more comfortable to live in. Shelley said there are two seats on the mission for private citizens, at the cool price of $150 million per person. The third seat is taken by the Russian cosmonaut. Shelley said the company has one client already under contract and expects to have another commitment in another year or so. They hope the mission could be good to go by 2017. 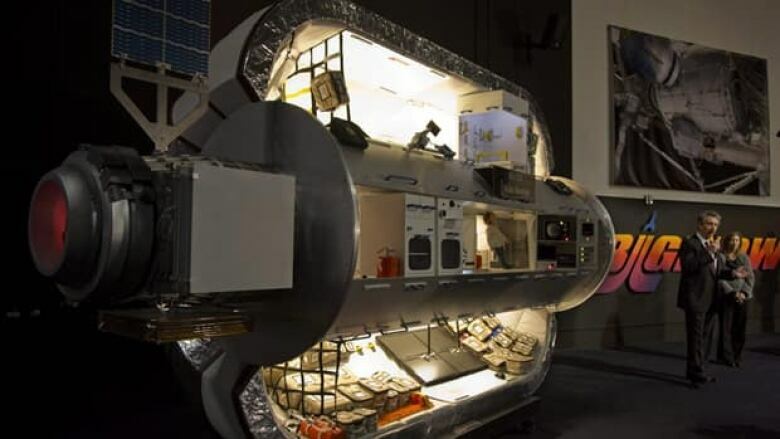 The International Space Station has been the only real destination for space tourists who want to spend at least a few days living in a contained environment in space. Seven people, paying from $20 million to $40 million, have made the trip, which is offered by the private company Space Adventures. The company website urges prospective clients to "be one of the first 500 people in space," "view the Earth from above" and become the first private citizen to walk in space. "We have quite a significant number of people who have expressed an interest in a flight to the space station and we now have the wherewithal to be able to afford it, " Shelley said. "The big hurdle to us really opening up and doing flights more frequently is supply." Currently, only the Soyuz space craft can take people to the ISS. The agency does four flights a year, totalling 12 seats. After NASA stopped flying the space shuttle, it bought a large number of those seats, making it difficult to acquire seats for Space Adventures customers, Shelley said. There are, however, three companies — Space X, Boeing (in partnership with Space Adventures) and Sierra Nevada Corporation — competing for NASA funding to build a new vehicle that would allow for more capacity. "I think trips to the station will become a lot more frequent in years to come," Shelley said. There are also some plans for the construction of private space stations. NASA announced earlier this year that it was teaming up with Bigelow Aerospace, a commercial space company owned by hotel entrepreneur Robert Bigelow, to build inflatable modules that can be attached to the ISS to serve as homes for astronauts. NASA is expected to install the three-metre in diametre, blimp-like module by 2015 at the space station. 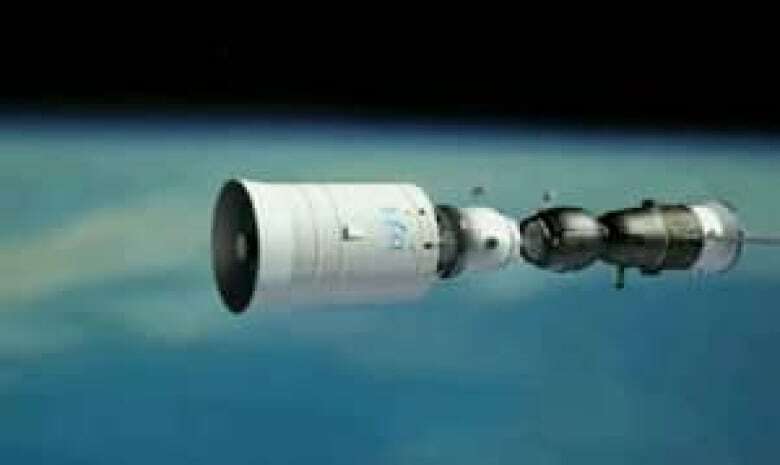 But the module can also function as an independent space station, or several be connected together to create a larger space complex, the company says. According to its website, clients can select a live or work visit that can last from 10 to 60 days with a per seat rate of between $26.25 and $36.75 million. In 2016, Bigelow plans to begin selling inflatable space stations to countries looking to increase their presence in space.